Are you ready to start saving for vacation? Or maybe you already are saving? If so, check out this cute tutorial and visual that you can have to remind your family that saving for vacation has rewards! Head over to Ginger Snap Crafts for the complete tutorial! 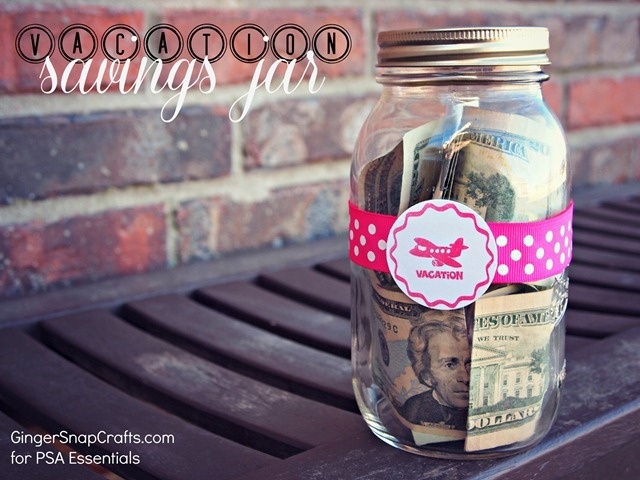 I can see making individual jars for each of my children, so they can save individually for all the little extras they always tend to beg for when we go on a trip.